What a beautiful day for Fishing! The weather continues to be amazing and the fish have come out to play! 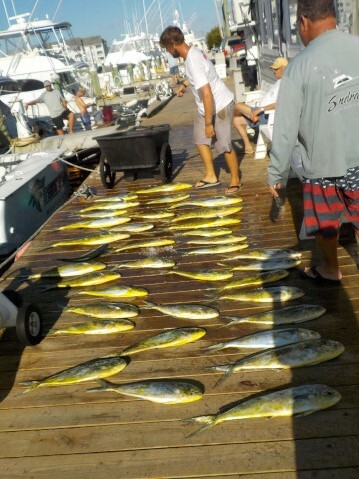 Charter Boats filed in this afternoon with happy anglers! 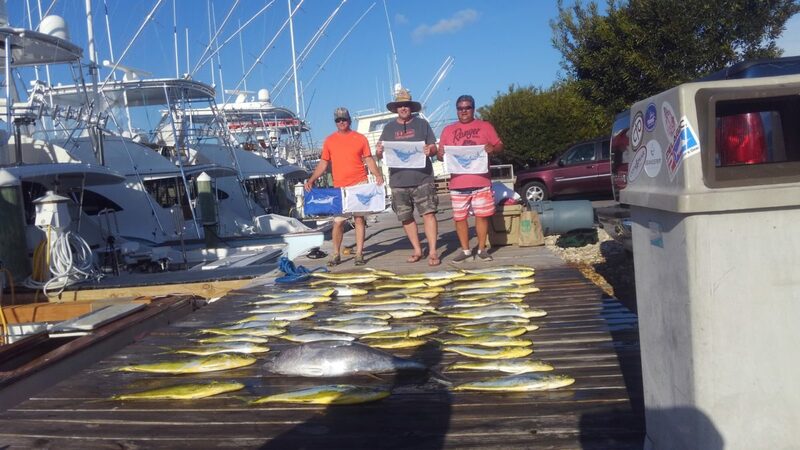 Both Nearshore and Offshore, the fish were biting, but the big story was the Sailfish! 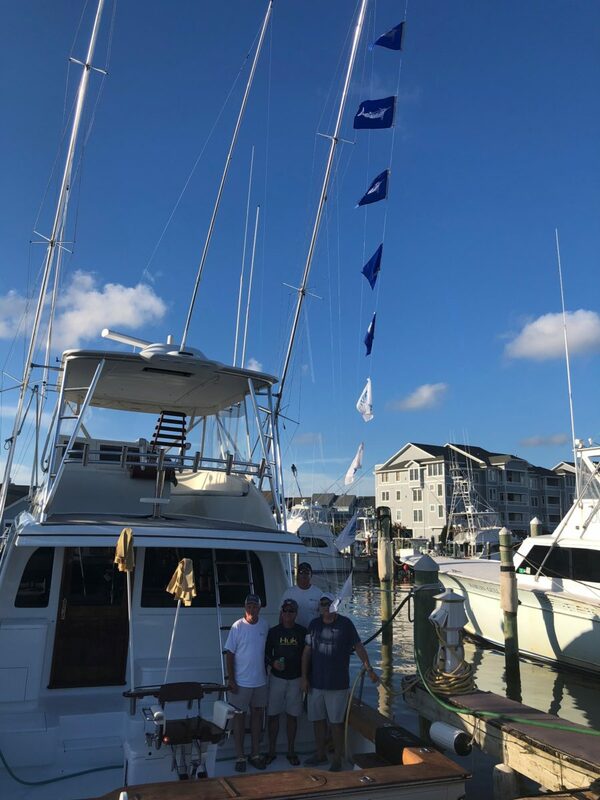 We had 12 Sailfish and 9 White Marlin Releases at last count! Congratulations to the following anglers who received citations for their releases today: Kelly Morgan, Chris Beal, Jason Taylor, Austin Marsland, Bryan Parrish, Jarrad Petrilyak, Tom Peters, Chad Craft, Aimee Sharrett, Missy Atkins & Tracey Hodge! Billfish weren’t the only thing biting though. The meatfish showed up to the party as well. 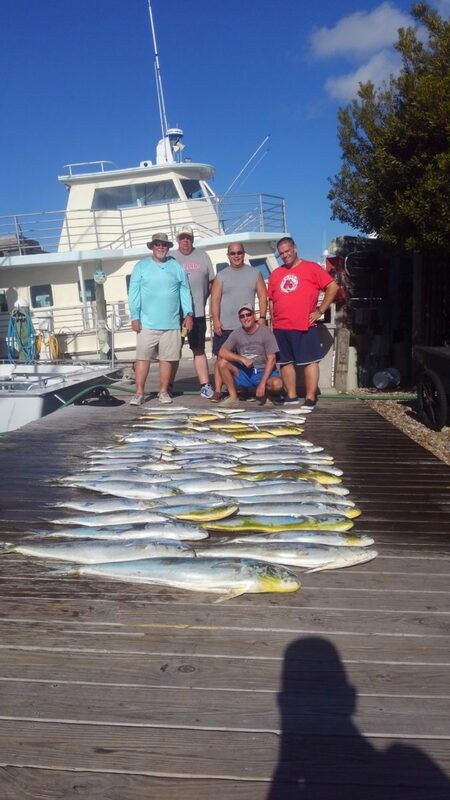 The Mahi were big and beautiful and Congratulations to Charles Tyler, who caught a citation Wahoo! 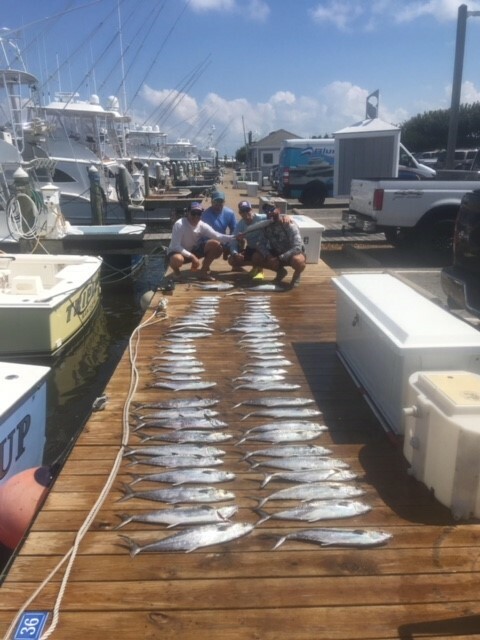 The Spanish Mackerel and King Mackerel bite continues to keep our Nearshore Anglers busy and their plates full! There’s some good eating and some good fun to be had out here right now! 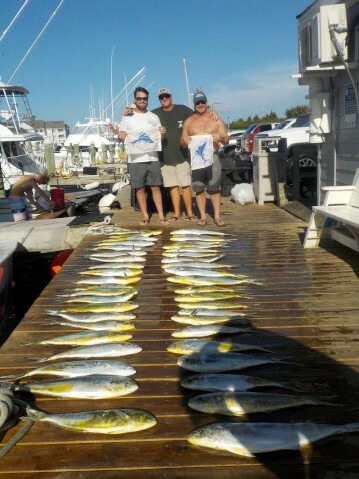 If you want to get in on the action, give us a call at (252) 473-3906 or Book online. Mimi’s Tiki Hut is still open so come by, have a drink and watch the boats come in with their catch. If you haven’t witnessed it, you are missing out! It’s also a great time to stop by the Ship’s Store where there are some Hot Sales right now on Ladies’ Clothing! Escapada, Ladies’ Swimsuits and Cover-ups, and Select Ladies’ Tommy Bahama are all on sale! Don’t miss out!